Teachers. Their inspiration, dedication, and commitment can cause us to fondly remember them many years later. However, in addition to fond memories, it is important to also remember that a teacher’s primary role is to instruct their students and to pass on knowledge & skills to the next generation. Although the work in a particular subject area may have challenged us more than we cared for, the education was invaluable in preparing us for our chosen professions, including those in all of our related fields. Such was the case with Jaime Escalante, a math teacher who taught at Garfield High School in East Los Angeles from 1974 until 1998. At first, the job seemed insurmountable as Garfield was a school known for violence & drug issues, both of which impacted student performance enough that it seemed to justify critics who referred to the student population as “unteachable”. Yet, Mr. Escalante never gave up, instead, he strove for greatness. This was accomplished through the creation of an AP Calculus class which he taught and prepared his supposedly “unteachable” students for. Their passing of the AP Exam was considered fraudulent at first, but a retest affirmed to the world that Mr. Escalante had done it! Perhaps this story sounds somewhat familiar to you. If so it is because Mr. Escalante was portrayed by Edward James Olmos in the critically-acclaimed 1988 film Stand and Deliver. Mr. Escalante’s legacy speaks to the influence great teachers have in inspiring the next generation to better themselves and to teach others along the way. The American Society of Sanitary Engineering (ASSE) developed the Series 6000 Standard which went on to become the industry standard for medical gas systems personnel. 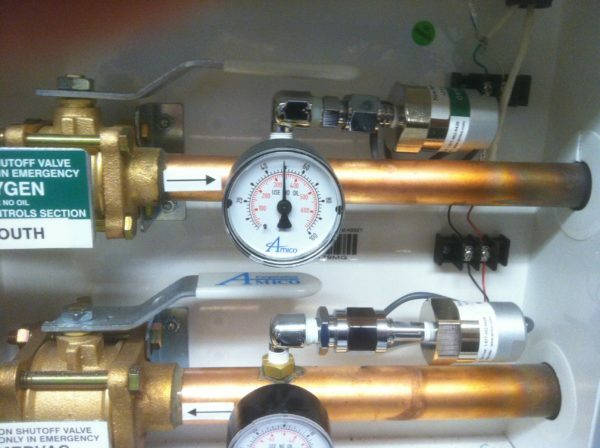 A certification based on the Medical Gas Instructor 6050 provides documentation that certified individuals are qualified to train or teach installers, inspectors, verifiers and healthcare facility maintenance personnel in medical gas and vacuum distribution systems. In addition to a substantial amount of experience, Medical Gas Instructors are required to have general knowledge of applicable laws, codes, listing agencies, and/or regulations at the federal, state & local level, as well as knowledge of product performance, systems and system component testing, documenting and recording, and medical gas terminology. Candidates seeking their Medical Gas Inspector 6050 certification will want to ally themselves with an organization that has the knowledge and the reputation to properly administer and certify personnel. National ITC is that organization. Whether you’re a training director, association representative, employer representative, or an individual applicant, NITC can help you find the medical gas certification and testing facility that best fits your needs. Contact NITC today to learn more about how our products help prepare the best, most reliable, and safest trade professionals possible through a wide range of industry certifications, all the while helping you exceed customer expectations in the process. Have your personnel certified with the certification company, National ITC, call 877-457-6482 today!